I am currently on a road trip to Noosa…for the annual Northstar Ju Jitsu Seminar…and back again. I love the feeling of freedom on the road (well, when you get out of Sydney), sun, surf and good company. If Quantum means using energy in the right way, well this is all of the energy I need. However, I had a momentary lapse of judgement on the way up. 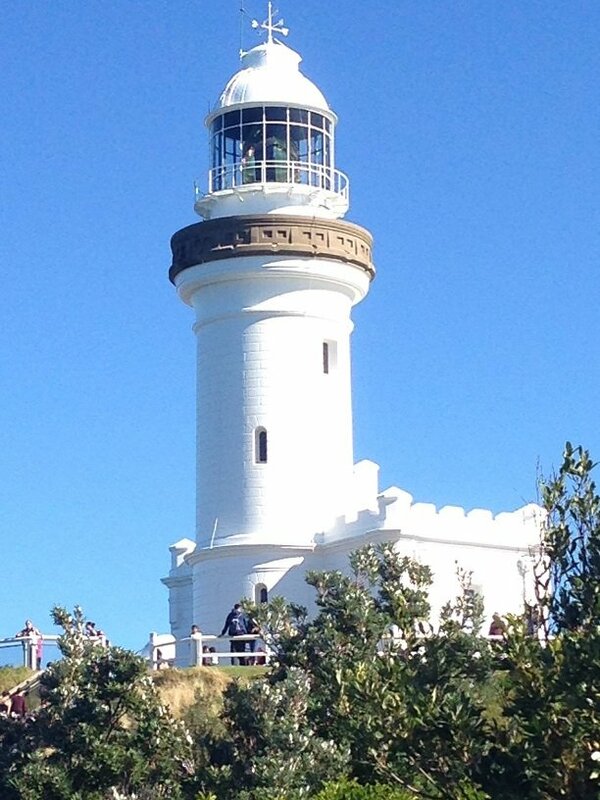 It was a long day of travel to the Cape Byron Lighthouse. Parking was difficult at the time. When we finally found a spot, we saw a car needlessly parked across two parking spots. We saw the driver standing right next to his car and, while I feel he must have known there were a lot of cars around him looking for parking spots, he did not make any effort to move his car. “What an arrogant so-and-so”, I thought. So, noticing the parking spot next to him, I parked my car pretty close to his, making it difficult for him to get out. “That will teach him”, I thought. As I was parking, I noticed him helping me to park the car. “He must just be trying not to get me to park close to his car”, I thought. I duly ignored the instructions. I wanted him to inconvenience him so he knew how much he had inconvenienced others. Almost a public service, if you will. Anyhow, he comes around, taps on the window and asks how long I will be at Cape Byron for. “I don’t know, mate” was my terse reply. When he asked again, he got the same answer. Then he said, “Well, I still have another hour to go on my parking ticket and was just waiting for somebody to give it to. If you want free parking for an hour, here is the ticket”. He gave me the free parking ticket and left with a smile and a wave. Well, to say I immediately felt foolish was an understatement. Here I was judging an entire man’s character on a simple parking matter. My need to feel right was so strong that I purposely disadvantaged somebody, even though his reason was a purely helpful one (i.e. trying to find somebody to give free parking to). If you want a recipe for loneliness and unhappiness in life, stick to a rigid thought that you are always right and others must conform to your view of the world. This is why I believe martial arts is a great canvas for life. Martial arts is more than just self defence moves. It teaches you mental and emotional lessons as well. Sometimes, you do not start really learning these lessons until many years after you start training. Being a 5th Dan Black Belt does not make me perfect with the mental and emotional aspects of life. However, it does help me recognise my emotional deficiencies and work to address them. And that is all anybody, including you, can ask of yourself. You should always working towards building a better you. I can say I have got back to my old self of always helping others and am thoroughly enjoying it. So, what should you do if you feel the need to be right. Here are some tips…. Own your own behaviour. If you lapse from time to time (which I did), do not beat yourself up over it. Recognise it and then work on improving your behaviour moving forward. This is real self-esteem, which is exactly what we aim to empower our students with. If you like this article, please share it with others. I would also love to hear some stories you may have on the “need to feel right”.